Brands have the opportunity to become even more innovative with their interaction and offering to their customers. Through means of providing social locations in store and brand pause spaces. Stores can uplift the bar of customer experience and have the customer, in the words of Howard Saunders “fall in love” with your brand. “The most important thing is to go back to basics, understand how you can really connect with your customer, stop thinking about product and think about the communities that you cater to, create engaging spaces where people can connect and socialise.” said Howard Saunders. A great example presented by Saunders is the New York Samsung Experience Store which has a glassy, multilevel complex that has event space, a virtual-reality roller coaster and on the mezzanine level a coffee bar with all the trimmings, stocked with multiple artisan roasters and a rotating array of small bites from the Smorgasburg roster. This store bursts at the seams with the amount of in-store customer experience offering, something of now even greater importance than product. Saunders spoke on the topic The Future is Scary to which he painted the picture of how the future would look like with the emergence of robotics, big data, artificial intelligence, 3D printing, driverless cars and facial recognition software and the impact on ‘bricks and mortar’ retail over the next decade. 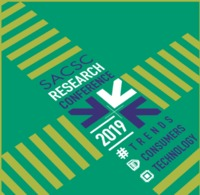 Saunders highlighted that technology is a tool that has helped companies connect and will continue to do so, however from a personalisation stand point it is important that the brand builds trust and loyalty. Tech such as smartphones has facilitated the rise of bespoke customised products, and therefore technology becomes a key component to better cater for your customer through the access of information including the facilitation of ease and convenience. “As a Retail Futurist I encourage my clients to take a fresh look at what they do and what they really stand for. Business is often too busy to pause and think, you have to force these things. I try to unravel the meanings behind the things we buy: why our aspirations shift and how the future is likely to change the way we behave. I believe shopping is not only the engine of our economy, it’s the foundation of a thriving community. This isn’t some business-to-business thing, this is life,” said Saunders. For more information please visit: www.sacsc.co.za or email: events@sacsc.org.za or call the SACSC Head Office on +27 (0) 10 003 0228.